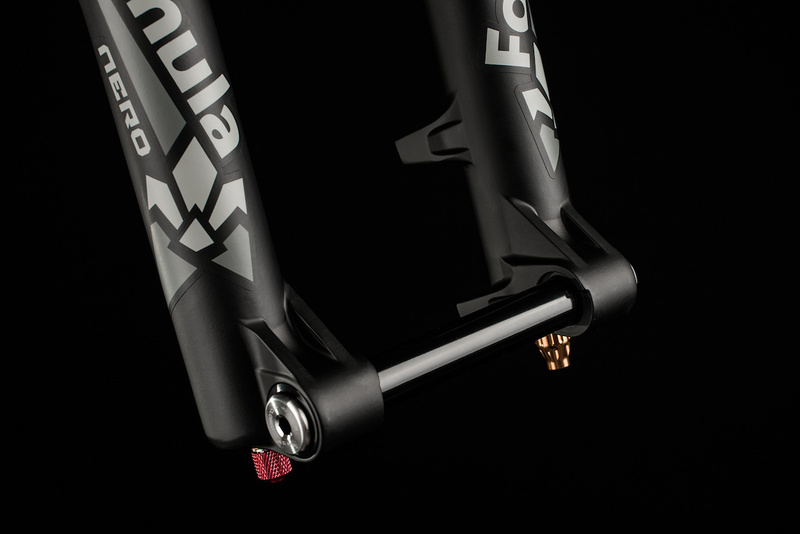 Formula has been growing its suspension lineup over the past 18 months, having launched the new Selva enduro fork just over a year ago and announcing its new partnership with the Ancillotti enduro team. 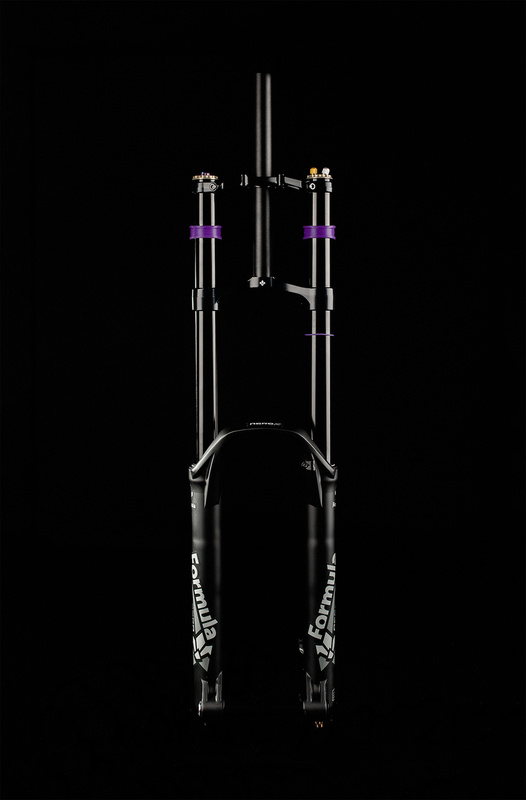 Since then, we’ve seen spy shots of Formula’s new dual crown downhill fork at various World Cup Downhill races, meaning it was only a matter of time before the Italian brand debuted its foray into the dual crown market. So without further ado, say hello to the new Nero! 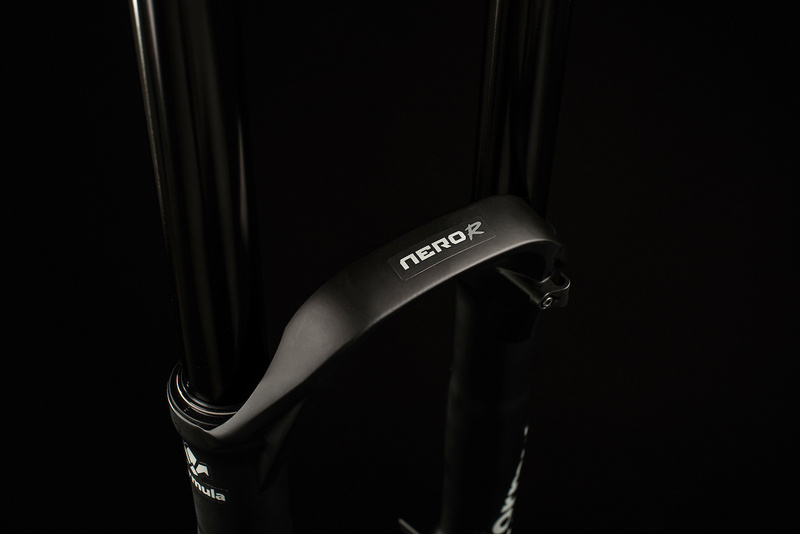 The Nero is Formula’s new downhill fork. 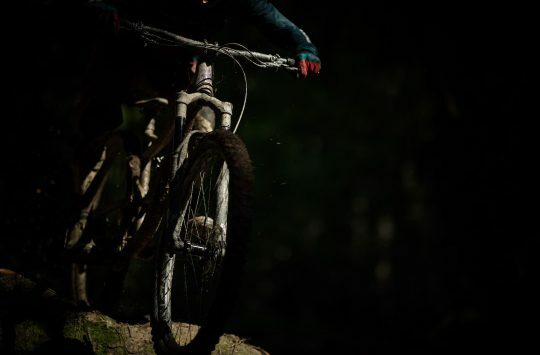 “What does every downhill rider look for? The answer is simple: the perfect suspension. Unfortunately, however, that doesn’t exist. There is no such thing as a perfect trail. Trails vary from place to place and from run to run. 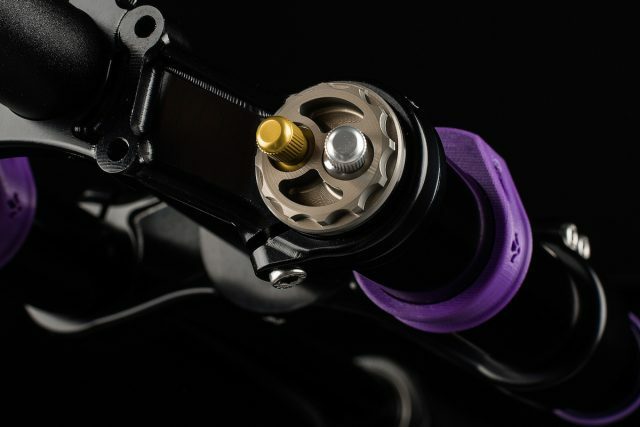 Instead of finding a setup that works quite well in most situations, instead the aim should be to find the most easily and quickly adaptable suspension for any situation. This was our goal when we decided to design our first downhill fork” – From Formula. 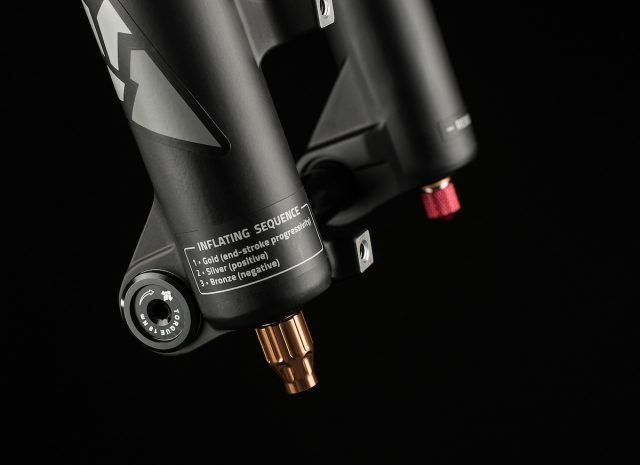 The Nero comes in 27.5in and 29in versions, and it’s available with air or coil spring guts. 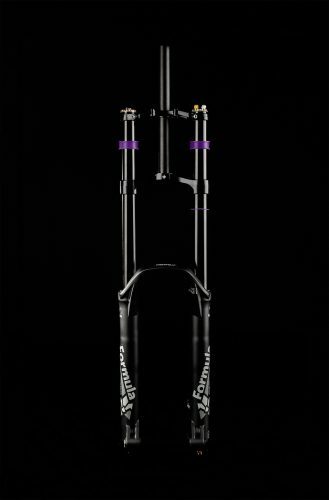 So the big story with the new Formula Nero fork (aside from those snazzy purple rubber bumpers – yummo!) is the spring technology, called 3AIR. 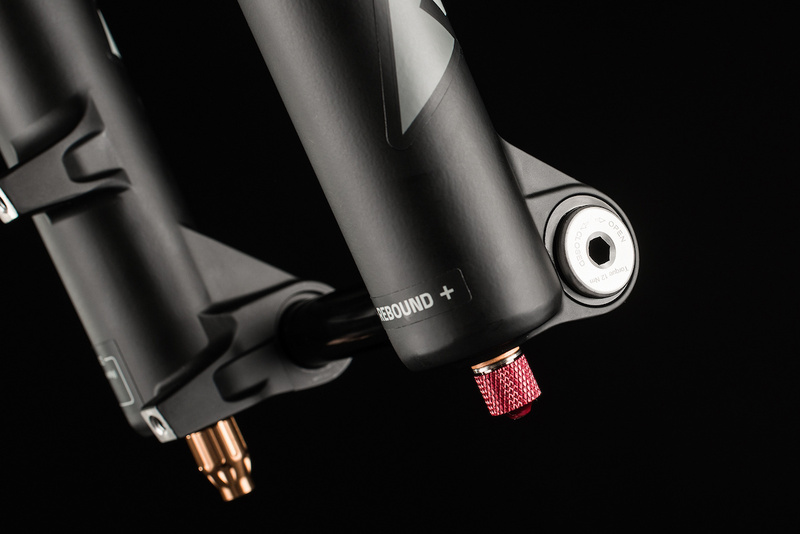 Some air-sprung forks utilise a single air valve to adjust the main air chamber pressure, with some sort of self-equalising negative chamber that automatically balances the air pressure between the positive and negative air chambers (like a Fox 40 or a RockShox Pike). Then there are forks that provide you with two air valves so that you can adjust either chamber independently of one another, so you’ve got more control over the spring’s behaviour (like the MRP Ribbon). …and one at the bottom, providing a huge range of adjustability over the spring behaviour. Yes, three air valves that can all be adjusted independently. 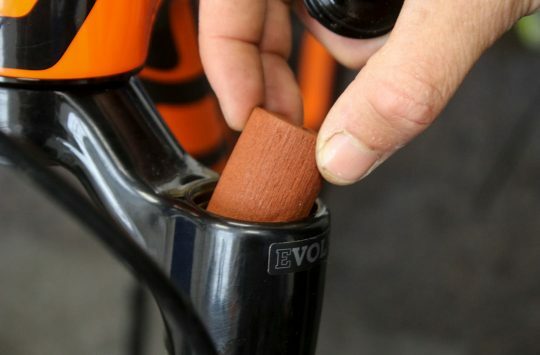 There’s the positive air chamber (the silver valve at the top of the fork), the negative chamber (bronze valve at the bottom of the fork), and then end-stroke progression (the gold valve back on the top of the fork). In theory, this should provide a huge amount of adjustability of the air spring behaviour, with control of both the starting stroke and end stroke to fine-tune the feel you’re after. 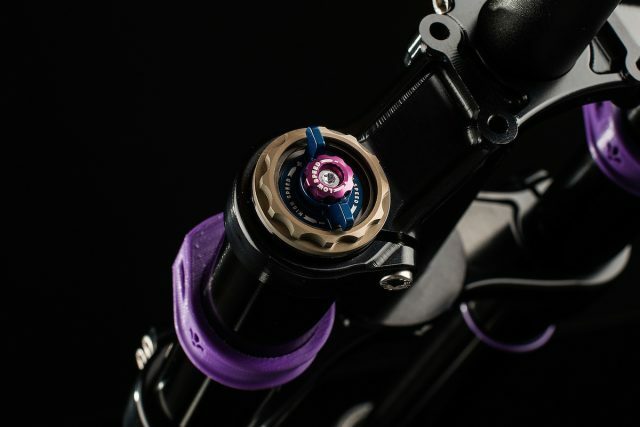 The Nero fork comes loaded with Formula’s drop-in damper cartridge, which is sealed to keep damping fluid separated from lubrication oil inside the lowers. The damper shares a similar machined look to the adjustments on the Selva enduro fork, and it features independently adjustable low-speed and high-speed compression adjustment. However, being a DH fork, the Nero skips the lockout. 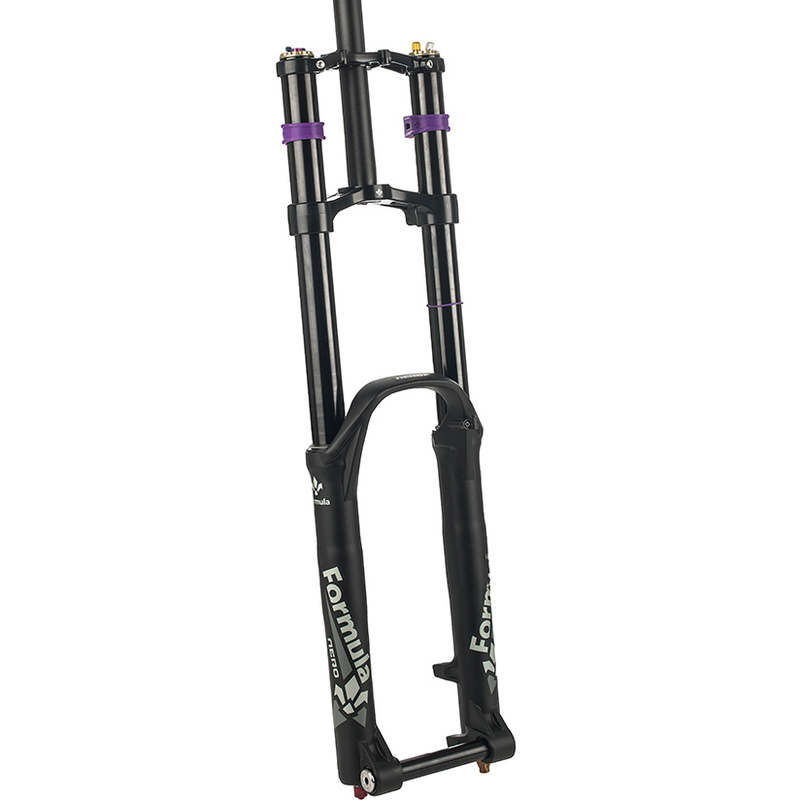 …and rebound adjustment at the base of the fork leg. They’re 110x20mm dropouts, but they’re of the new Boost variety. Lowers are 20x110mm, but they’re of that new Boost variety, which changes the disc rotor spacing to increase the distance between the two flanges to increase spoke triangulation and overall wheel strength. All good things we guess, but it’s another bloody standard to get everyone fired up again. 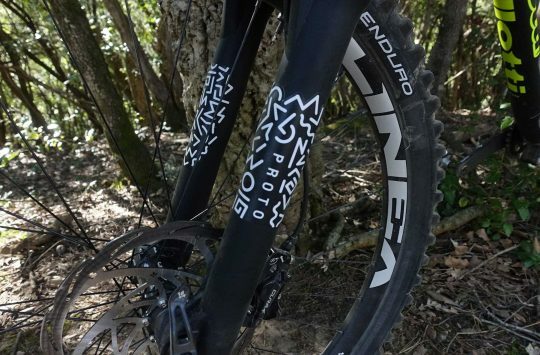 The again, whether you like it or not, it’s a standard that’ll be sweeping through the downhill market quite soon, especially after Santa Cruz, Fox and Chris King jumped on board the 20mm Boost standard with the V-10 29er prototype. Formula will be releasing the Nero in two models. There’s the Nero R that features the 3AIR spring, and then there’s a cheaper Nero C that uses a coil spring. No confirmation on pricing or availability just yet, though head to rideformula.com for further details if you need ’em.